(Ivan) This was stated by the spokesman of the National Aeronautics and Space Administration during one of the last hearings of the Committee for Science, Space and Technology of the United States. Are you ready for disclosure? Or are you expecting little microorganisms on a distant moon in our solar system? There are many who claim that unofficially, mankind has already made contact with aliens, and not just little microorganism floating around inside a massive alien ocean, but advanced spacefaring civilizations. Twenty-five years ago, we didn’t know that planets existed beyond our solar system. Today, we have confirmed the existence of over 3,400 exoplanets that orbit other suns. And we continue to make new discoveries. Professor Thomas Zurbuchen, associate administrator of the Science Mission Directorate at NASA headquarters in Washington, said our civilization is on the verge of discovering evidence of alien life in the cosmos. Taking in count all of the different activities and mission that are specifically searching for evidence of alien life, we are on the verge of making one of the most profound, unprecedented discoveries in history, said Zurbuchen during the hearing of the Committee on American Science, Space and Technology. 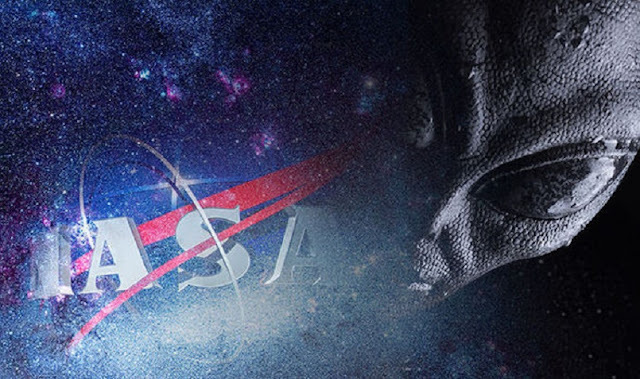 At the hearing, professor Zurbuchen mentioned all of NASA’s recent achievements in their quest for extraterrestrial life that support his claim. “Two weeks ago NASA’s Cassini mission demonstrated the presence of hydrogen in Saturn’s moon Enceladus, while the Hubble team announced the results of the second observation of the oceans of Europa, one of the moons of Jupiter. Both discoveries are potential evidence of life, “said the NASA spokesman, who also highlighted the advances made in astrobiology. “And while we have not yet found definitive signs of life elsewhere, our search is making remarkable progress,” said Zurbuchen, who noted that NASA’s number of astrobiology missions is on the rise. “Mars 2020, our next explorer, and will continue to advance this quest by researching a region on Mars where the ancient environment may have been favorable for microbial life. The mission will also look for signs of past life and collect samples that will be brought back to Earth, “said professor Zurbuchen. Zurbuchen also pointed out that to prove the existence of extraterrestrial life requires the cooperation of several scientific disciplines as a whole, such as biology, geology, astronomy, planetary sciences, Earth sciences and many others. The NASA Transition Authorization Act of 2017, which President Trump signed into law last month, ensures continued American leadership in astrobiology and the search for life. It establishes “the search for life’s origin, evolution, distribution, and future in the universe” as a fundamental objective for NASA. To accomplish this, the bill directs NASA and the National Academies to develop an exoplanet exploration strategy and an astrobiology strategy. While all of this is great news for space explorations and our hopes—officially—to find alien life, there have been some seriously interesting quotes made in the past related to alien life.